Men Get Postpartum Depression, So Why Aren’t Dads Screened? Mark Williams is shocked Canada doesn’t provide screening for perinatal mental illness for women or men. Michelle was diagnosed with severe postpartum depression in the months following and Mark’s symptoms worsened. He started to feel depressed and suicidal. His efforts paid off just this past December, when NHS England announced it would begin providing perinatal depression screening to new and expectant fathers, a development they themselves call “landmark” and “radical.” Now that the U.K. is on board, Williams is targeting Canada, as well as other countries that don’t screen for perinatal mental illness. While perinatal mental illness affects up to 20 per cent of women, the latest research pegs men’s prevalence at 8.4 per cent with previous studies putting it in a range of anywhere from four to 25 per cent. In Canada, one study revealed that more than 13 per cent of expectant fathers experience elevated levels of depressive symptoms. Another study points out that 80 per cent of men in Canada won’t get help unless their partner convinces them to. “The new U.K. guideline is an excellent start to identifying and addressing the mental health needs in men,” Dr. Andrew Howlett, a psychiatrist at St. Joseph’s Health Centre in Toronto, told HuffPost Canada. 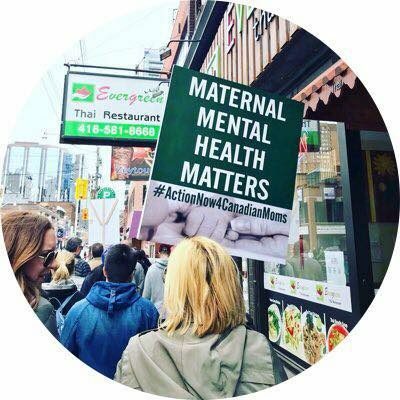 “It would be great if Canada or the provinces and territories implemented screening for both women and men for common conditions such as depression during the transition to parenthood in order to initiate appropriate support and minimize the impact of mental illness on their relationship with their children and their child’s development. The greatest risk factor for the development of postpartum depression in men is having a partner with postpartum depression. Men may be at greater risk of employment-related stress and loss of social supports during the postpartum period, which may also contribute to the development of their depression. There is also evidence that a drop in the hormone testosterone in men following their partner’s labour may lead to postpartum depression. Are you in a crisis? If you need help, contact Crisis Services Canada at their website or by calling 1-833-456-4566. If you know someone who may be having thoughts of suicide, visit CAMH’s resource to learn how to talk about suicide with the person you’re worried about.